A Wolf-Rayet Star Blows Bubbles Credit and Copyright: P. Berlind & P. Challis (CfA), 1.2-m Telescope, Whipple Obs. 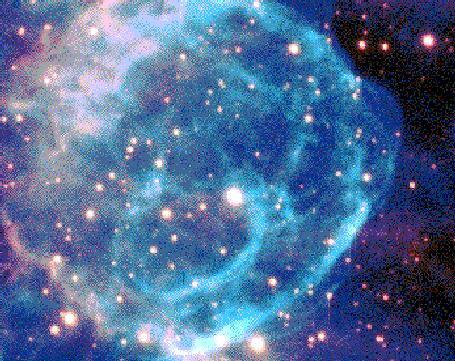 Explanation: Wolf-Rayet stars can blow bubbles. These unusual stars are much hotter and more luminous than our Sun. All extremely massive stars will eventually evolve though a Wolf-Rayet phase. Approximately 200 Wolf-Rayet stars are known in our Milky Way Galaxy. 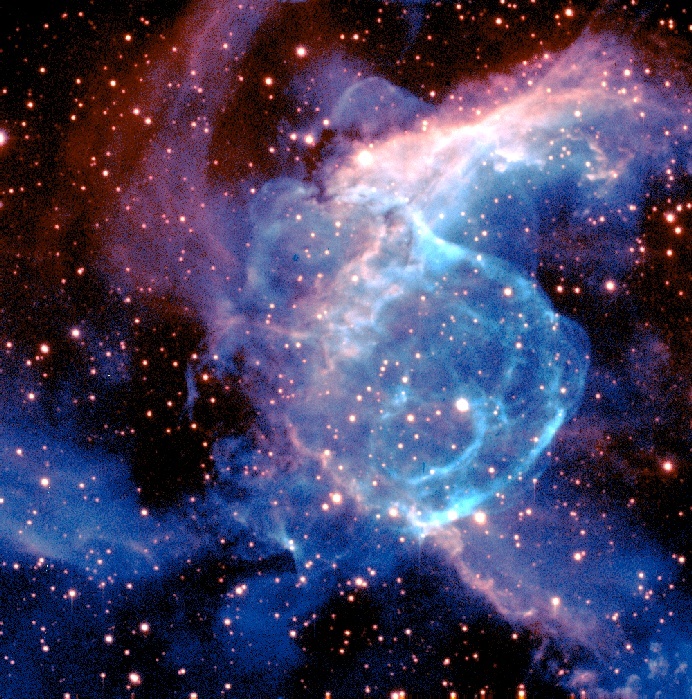 Wolf-Rayet stars generate bubbles because they continually eject their outer atmosphere as a stellar wind. This outgoing wind of particles typically carries away more than the mass of our Earth each year! The wind is caused by atmospheric particles absorbing outgoing starlight, although many details of this process are unknown. The Wolf-Rayet is the brightest star in the above picture and is in the center of the large bubble in the nebula known as NGC 2359.